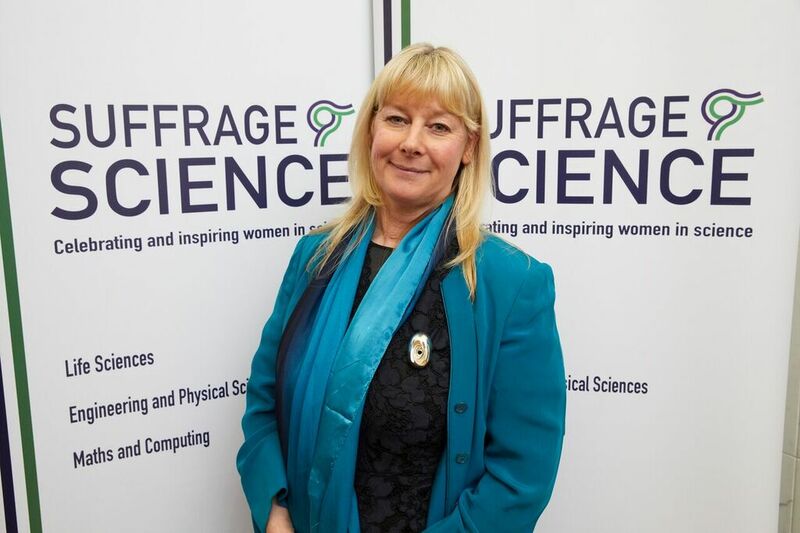 "These awards are very special, since they are via personal recommendation from someone who is highly respected in the field"
Serena Best, Fellow of St John’s College and Professor of Materials Science, has been awarded a Suffrage Science Award for her scientific achievements. 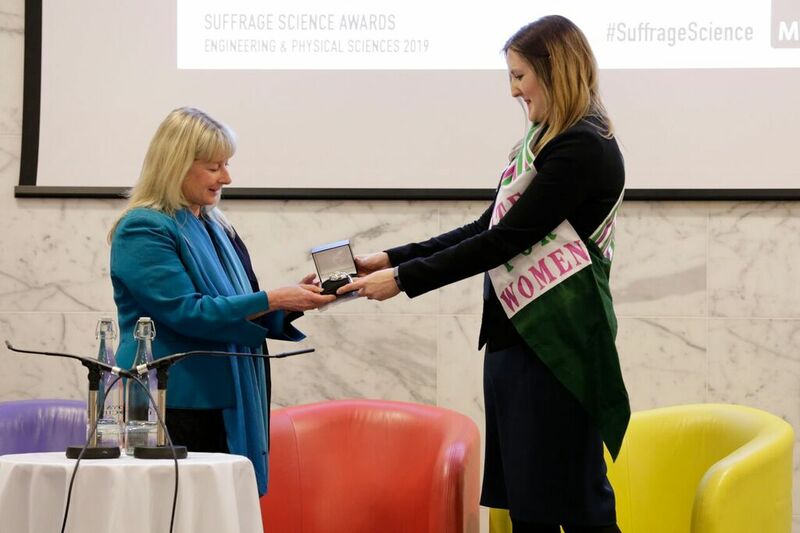 The fourth Engineering & Physical Sciences Suffrage Science Awards, held on International Women’s Day, 8 March, saw 12 leading and pioneering female scientists and engineers from around the world presented with awards of hand-crafted jewellery inspired by the suffrage movement. Professor Best, one of three recipients of the award from the University of Cambridge, is Director of Studies of Materials Science at St John’s, and also co-directs the Cambridge Centre for Medical Materials. Her research aims to expand the range and performance of bioactive scaffolds in clinical applications. The Suffrage Science awards celebrate women in science, and encourage women to enter scientific subjects and reach senior roles. The award-winners were chosen by previous recipients of the awards and were selected for their scientific achievements and their ability to inspire others, and the items of jewellery were passed onto them by the former winners. 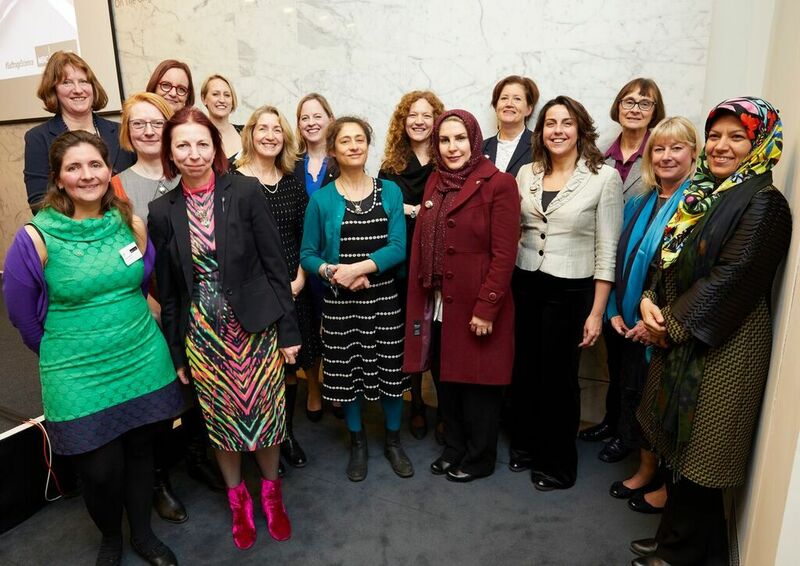 The act of passing on the jewellery as heirlooms takes place every two years, and this scientific ‘relay’ creates an ever-expanding cohort of talented women with a connection, encouraging everyone to reach senior leadership roles. Art students from Central Saint Martins created the jewellery, and the students worked with scientists to design pieces inspired by research and the suffragette movement. Serena was awarded with a brooch made by designer Diana Dong, which the designer says is inspired by "the strength, belief and courage that exist deep within each woman’s heart". Professor Best was nominated for the award by Professor Cathy Holt, Professor of Biomechanics and Orthopaedic Engineering in the Cardiff School of Engineering, University of Cardiff, who she worked with when Chair of the MedTech Community of Practice/Biomedical Engineering Panel of the Royal Academy of Engineering.